Looking for a landscaping company in Granger, Indiana or Mishawaka, Indiana. We got you covered. Here are some Amazing Services That We Offer. Michiana Commercial Landscape is a company that was formed to fill the niche existed in creating a clean and beautiful environment for businesses and companies. 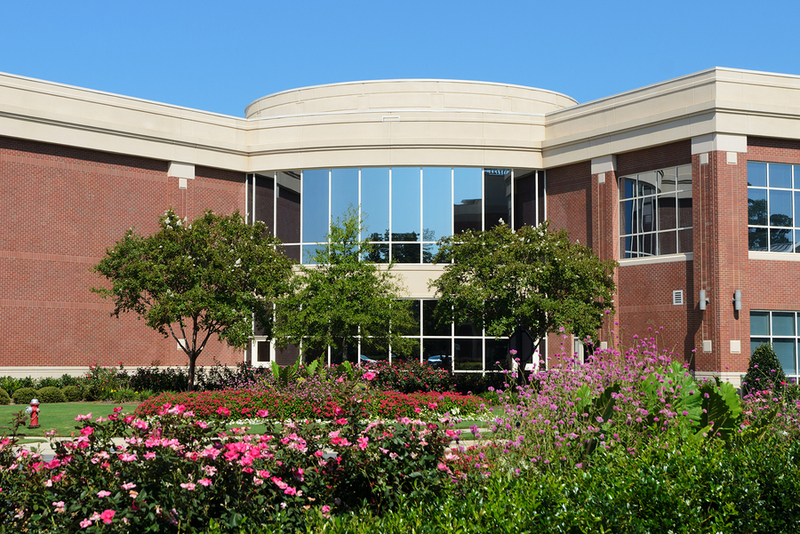 We have the commitment to offer commercial landscape maintenance services that make our clients happy. Our services are geared towards creating a business image that will drive more clients to our clients. We have many services that are second to none and which come at very fair rates. The following services touch on every aspect of the business that pertains to outlook. Michiana Commercial Landscape is dedicated towards commercial lawn care that creates the best and neatly done grass. The size of the grass in your compound can determine the way customers view your organization. Neatly done grass can encourage clients to come to your business knowing very well that in any case there is a delay in service there is a place they can relax themselves. We have the right equipment to ensure that the grass in your compound is of standard size. We also make time to time inspections to make sure that we follow up to prevent your grass from overgrowing. At Michiana Commercial Landscape, we understand that you are ambitious and are keen on improving the image of your business. If you want a business landscaping in Mishawaka for instance making a pool, water fountains, trenches, gardens and planting, excavation has to be part of the deal. We are well aware of every procedure and techniques needed for these kinds of operations. We also have the equipment required for the job and we are not afraid or tearing that ground apart to have that project started. The ‘hands of steel’ of our staff, will make sure we do that dig perfectly. We are also careful not to destroy anything leaving your landscape as nice as we found it. Michiana Commercial Landscape is committed towards beautifying your compound in the best way possible. The flowers lined along the paths and the trees in the compound of your business premise should be neatly done and be a great reception for your clients. Trimming of the landscape is a difficult task that is specially done by the people with the expertise. Our workers have the craft to uniformly trim your flowers, trees and fence in an exceptional way. In case of business landscaping in Granger that requires trimming, we have invested in the best equipment for the job. Michiana Commercial Landscape offers services that make your landscape look both beautiful and healthy. For greener uniformly growing grass, fast growing flowers and trees, there needs to be necessary nutrients in the soil that facilitate good growth of the plants. If you have a lawn that is either not growing uniformly or seems not to grow at all, you need to consult us because we have the best solution for you. We have the knowledge and experience to know what kind of fertilizers to use and in what quantities. Our business landscape maintenance services will turn your grass to glory. We are just a dial away to give you a picture perfect lawn. Michiana Commercial Landscape Company can do all that pertains to trees. The Michiana area is one that is well decorated with tree plantations making it unavoidable to be tree specialists. Do not allow yourself to be bothered any more by that annoying tree that sits right in front of your office. We fall trees that you want fell, prune that branch that covers your office window and trim that tree with non-uniform branches. You can be sure that all your business landscaping needs in Granger that require a tree to be dealt with will be met. Fall and spring seasons are a time for your business to boom and customers to trickle in flawlessly. However, the leaves that fall during this period can be an inconvenience to your customers and prevent them from frequenting your business. The leaves and flowers from withering trees and flowers fall along walking paths curtailing movement. Cleaning these spaces can be very tasking and even tiresome if you decided to employ people to clean up. For that reason, you need to hire services of a commercial landscaping company in Michiana that is specializes at this kind of job. There are also other cleaning services that are needed at this period. We offer good contracts to conduct regular clean up services to enhance the image of your business. Michiana Commercial Services understands perfectly the importance of trees. However, at a business environment, a tree should be placed at the right position that improves the beauty. We are the business landscape and installation company with the right knowledge to plant and transplant trees in the right position to improve image. We also have specialists who have the designing knowledge to select the trees that could match perfectly with certain environments. For these devices, you need a trustworthy company. Call us and we will sort you out. Winter can be annoying and is a major setback to many businesses. Snow falls and piles up in the paths and parking lots preventing employees and clients from accessing your business with ease. However, business still has to move on anyway. Michiana Commercial Landscapes has the expertise to clear that snow and ice from your paths to enable easy movement of people and goods. Armed with the right equipment, we have the experience that could make your business premises smooth and free from obstacles. Consult with us in advance to make sure that you are well prepared for undeterred business comes winter. Michiana Commercial Landscapes is specialized in dealing with all kinds of business landscape maintenance. The requirements for a business’ or company’s exterior to be maintained in order to attract customer attention is the main reason we are in business. We seek to work on commercial lawns and other landscapes to ensure that the image of the business leaves a stunning impression to the clients. The success of the businesses we serve is our ultimate joy. In case you have a business that needs its image maintained, you can call us and we can get into a commitment to make you smile. All the maintenance jobs that require excavation, trimming, lawn, mowing, designing and cleaning is our main business and the area where we are good at. At Michiana Commercial Landscape, we deal with all ground work that requires power tools, moving of rocks and any kind of exterior design. Our services are unmatched as we strive to be the best company in the counties of Michiana region. 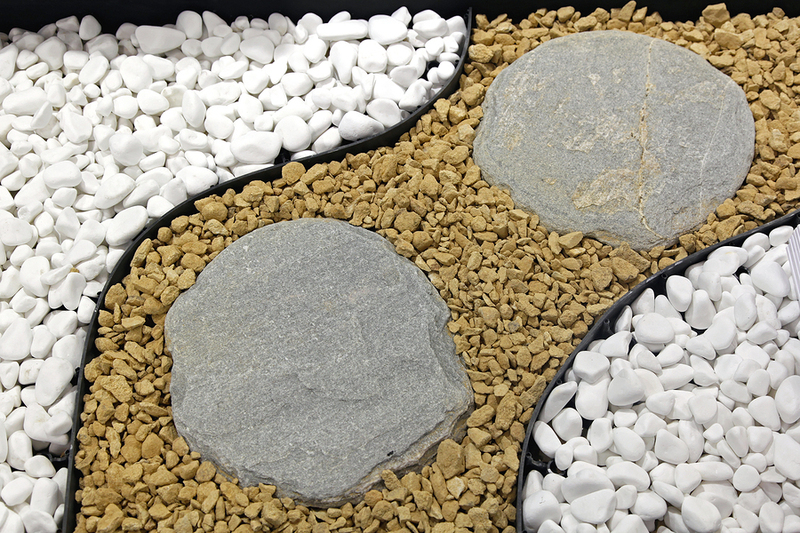 Michiana Commercial Landscape has all the tools and expertise required in dealing with rocks. Whether it is the building of paths or moving rocks we can do it all. We can take all aspects of nature such as rocks lying around your business and turn them into objects of beauty. We turn rocks into nice flowing fountains or waterfalls which make you landscape unique to others.We also construct pathways in a way they will last for long whether is is by concrete or carefully selected rocks. Michiana Commercial landscape is concerned with the condition of your built structures. Erosion is a perennial problem that affects business landscapes all over the world. Due to constant movement of people, vehicles, machinery and goods, it is very easy to dig into the ground gradually carrying the sediments in the ground and transferring it to paths and corridors. Dust from the landscape in loosely held to the ground can cause a lot of cleanliness problems as it has to be constantly swept away to keep the premises clean. We use retaining wall to keep the soil well grounded using well laid stones, bricks or concrete. Michiana Commercial Landscape is concerned with the outlook of your business. That being the case, we do our clients fences with a lot of justice. We mind the security of your business knowing very well that it is you biggest investment and source of income. A beautiful business can attract a lot of clients who perceive the business to be good as it looks. Knowing very well that you put a lot of your effort in your business, we also strive to give you all our best. We make our clients fences with the most durable secure material such as electrical fences. On top of all of that, we plant some beautifully arranged flowers and trees. We are concerned about the cleanliness of your exterior. Therefore, we offer the best pressure washing services you can get anywhere. Armed with the right pressure washing machines, detergents and qualified personnel, we clean your exterior walls and other surfaces thoroughly. Michiana Commercial Landscape has it covered for you when it comes to things cleanliness. Knowing very well that the state of cleanliness in your place of work can be a do or die in maintaining your clients, we make sure to clean the smallest stains on your carpets and floor. Michiana Commercial landscape understands clearly the importance of grass in your business compound. I mean, we are an established business mostly because of that grass. In that spirit of trying to beautify your lawn, we incorporate the knowledge of installing a lawn to talk about in the first place. We have the most trained personnel in sod installation who have years of experience planting sod and seeing it develop to its peak. We have outsourced the best suppliers of sod to make sure our customer get the best prices for the best quality. We, through our knowledge and experience select grass that is easy to maintain and looks beautiful. Weed is ugly and curtails the growth of grass and other plantations in your business yard. The growth of weed needs to be controlled since if it is left to overgrow it could be a problem in future. Therefore, we are dedicated to minimizing that problem for you by offering services that make sure that your business lawn grows healthy and weed free. 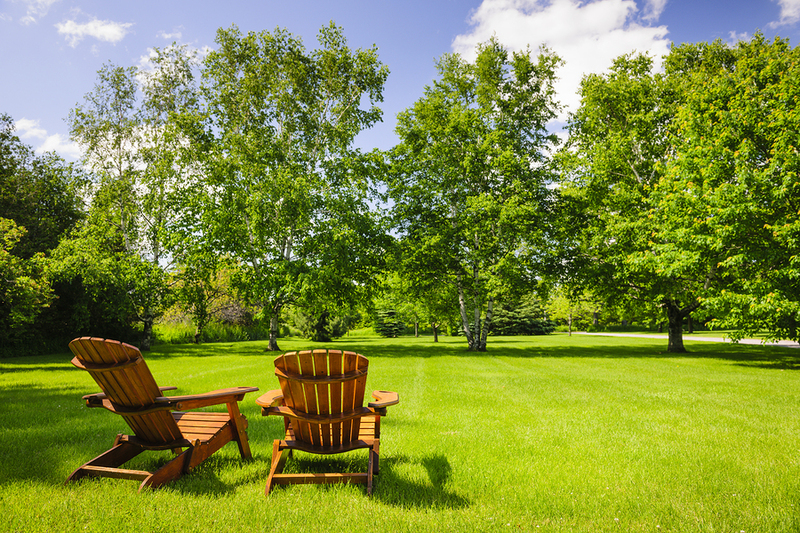 The characteristic of a well maintained lawn is one that does not have unwanted vegetation growing around it. If it has become a problem for you to control weed in your business compound, we are here for you. We at Michiana Commercial Landscape have vast experience in this area of operation. Having done most of these services for numerous businesses, it is safe to say that we are the best. If you are in the leisure or hotel industry, the relaxation of your customers is paramount. You may also be interested in creating unique elements that will sooth the minds of your employees and clients. We build water fountain in your business compound that run with different rhythms and styles, with the best designed and crafted stone and powerful durable pumps that serve you for long. 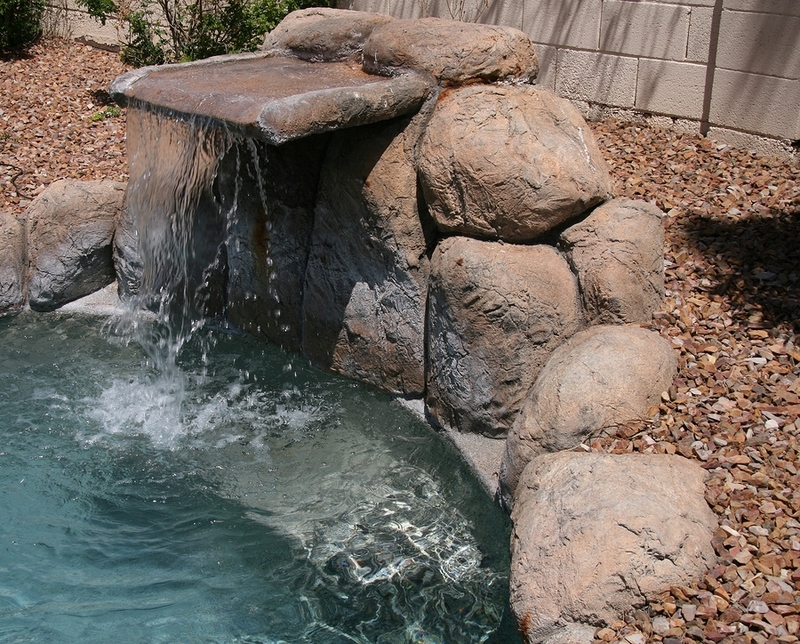 We also create customized waterfalls that are designed to incur the least maintenance costs and run as if they were new. The best feature is the design of our pools that are created uniquely and are distinct from other pools. You come up with an idea and we craft the rest and bring it to reality. This way your customers will feel special. Apart from the other services we offer in the summer and spring, we do not stop at that. We are with you all around the year with services throughout the winter season. You do not have to lose your clients and profits to winter. The following services will make your business to run smoothly even with the harsh Michiana weather. Snow is a major obstacle in the movement of goods and people. During the winter season a lot of businesses slow down their activities due to the effect of snow that mostly piles up. However, business just like life has to move on. Considering that businesses offer a livelihood to many people and contributes to the economy, all options have to be taken to make sure that it is smooth. Michiana Commercial Landscape has a solution to this challenge. We have invested heavily in moving your business forward by buying equipment to clear snow from you premise. Whether it is the removal of snow from your footpaths, yard, garage or road, we will deal with it accordingly. Time means money and if your goods do not reach the required destination on time, then that will either be time lost or profit delayed. Ice that piles up during the winter season can be a problem to remove event for the authorities. At Michiana Commercial Landscape, we have invested in the best methods of dealing with ice to make sure it does not distract your business.We have trucks that can pour salt and reagents to melt the road for you so that you can move on flawless with your business. Whether it is the ice that has piled in your business premise or it is on a road you want your goods to move through, we got you covered. Michiana Commercial Landscape believes in progress. A hundred tones of piling snow cannot stop that believe. We believe that no matter the snow or ice situation in your business yard, your business has to move forward. Another method we employ in dealing with snow and ice is plowing. With plowing, we ensure that goods slide smoothly over the ice with specially designed pallets that ensure safe movement.Michiana Commercial Landscape is your one stop solution to all your landscaping needs. We strive to make your business admirable to your clients and to attract potential clients. Our friendly staff will be ready and willing to work for you in the best way they can. We can strike a contract with you that will get you sorted all around the year no matter the season. Having been insured, you are sure to get compensated in case of any incidence. We are also licensed and authorized by local authorities and our employees are carefully vetted. Our services in commercial landscaping do not hold any limits. In Granger, you can get our services in all the areas that are associated to business. For all your needs in business landscaping in Granger, be sure to get the best from us. We offer services in lawn maintenance that will leave a nice impression in your business yard. Our special services come to you at very fair prices with unbeatable contract deals that run all year round. We specialize in offering various package deals such as: Business Lawn Care Services, Business Property Services, Business Landscaping, Commercial Landscape and Installation, Business Landscape Maintenance and Landscape Design & Installation. Consult us for these and many more services in Granger and its environs and we will strike a lasting deal. Our services in commercial landscaping do not hold any limits. In Michiana, you can get our services in all the areas that are associated to business. For all your needs in business landscaping in Michiana, be sure to get the best from us. We offer services in lawn maintenance that will leave a nice impression in your business yard. Our special services come to you at very fair prices with unbeatable contract deals that run all year round. We specialize in offering various package deals such as: Business Lawn Care Services, Business Property Services, Business Landscaping, Commercial Landscape and Installation, Business Landscape Maintenance and Landscape Design & Installation. Consult us for these and many more services in Michiana and its environs and we will strike a lasting deal. Our services in commercial landscaping do not hold any limits. In Mishawaka, you can get our services in all the areas that are associated to business. For all your needs in business landscaping in Mishawaka, be sure to get the best from us. We offer services in lawn maintenance that will leave a nice impression in your business yard. Our special services come to you at very fair prices with unbeatable contract deals that run all year round. We specialize in offering various package deals such as: Business Lawn Care Services, Business Property Services, Business Landscaping, Commercial Landscape and Installation, Business Landscape Maintenance and Landscape Design & Installation. Consult us for these and many more services in Mishawaka and its environs and we will strike a lasting deal. Our services in commercial landscaping do not hold any limits. In South Bend, you can get our services in all the areas that are associated to business. For all your needs in business landscaping in South Bend, be sure to get the best from us. We offer services in lawn maintenance that will leave a nice impression in your business yard. Our special services come to you at very fair prices with unbeatable contract deals that run all year round. We specialize in offering various package deals such as: Business Lawn Care Services, Business Property Services, Business Landscaping, Commercial Landscape and Installation, Business Landscape Maintenance and Landscape Design & Installation. Consult us for these and many more services in South Bend and its environs and we will strike a lasting deal.